So after my unfortunate accident with 50 miles on the odo I've finally gotten the bike back from the shop (bout ****ing time), and decided to do some mods! 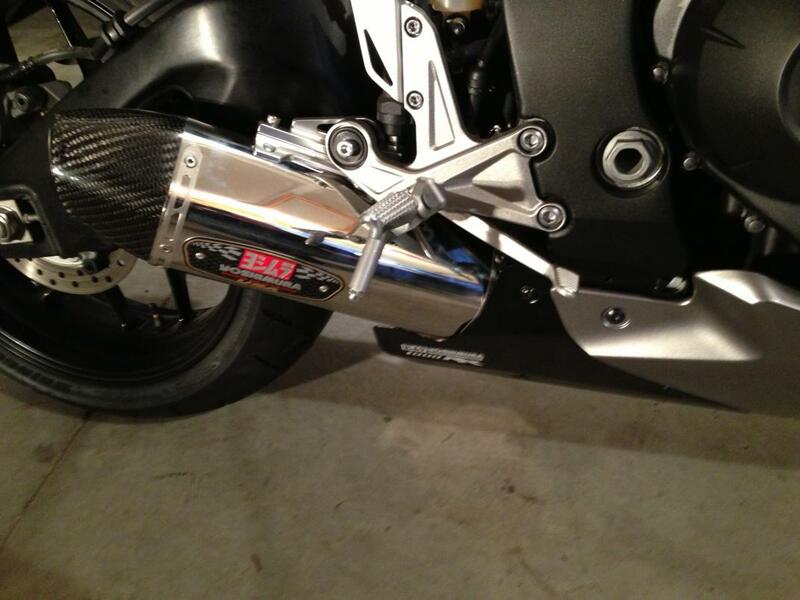 The first is a Yoshimura R77 slip on. I didn't see a need for a full system, as this bike already produces amazing power, but I did want to get rid of that catalytic convertor and that stupid exhaust flang crap. 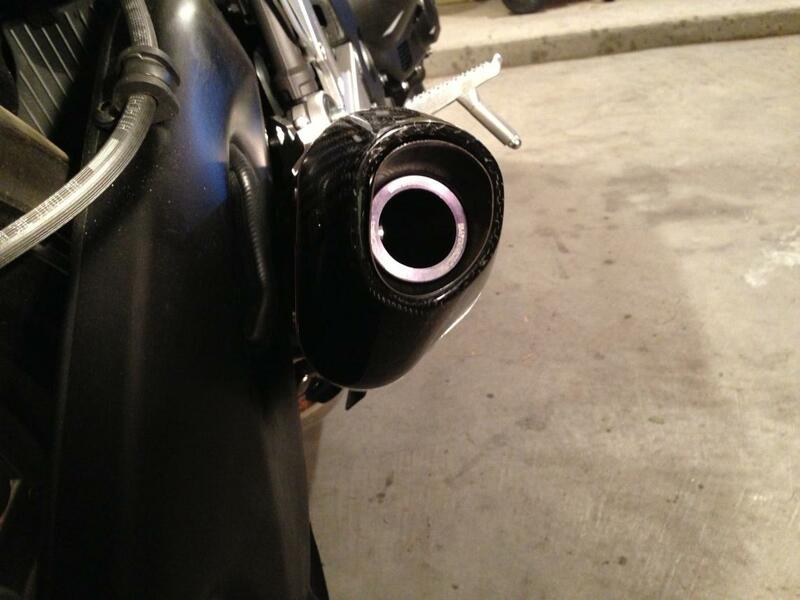 Installation was pretty smooth, and I do use the exhaust insert to lower the volume. Next up was the fender eliminator. I went with Yoshimura as well, kit was pretty good, and fairly simple. I kept the stock signals cause they are big and bright (e.g. safe). One thing left to there is seal up the hole under the fender to prevent water coming up from the tire. And finally, I installed some woodcraft frame sliders. Let me tell you drilling into my fairing drew quite a sweat. I got this sweet laser pointer from Lowes though that really made it pretty easy. 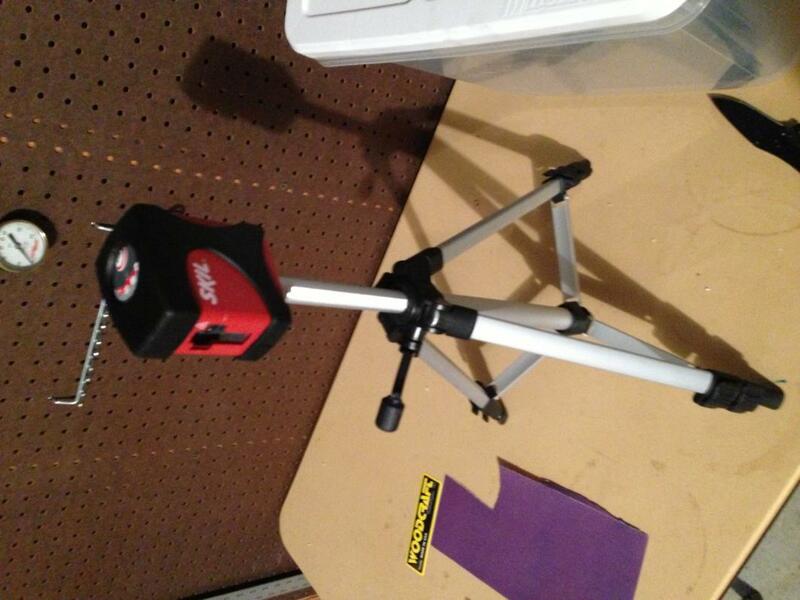 This thing is self leveling and sits on a tripod, you can make it print a giant X cross laser anywhere you want. Some tips on the cuts, make sure your drill bit is moving fast! I used a 2 inch hole saw with pilot drill, the trick was to first drill the guide hole out to make sure it doesn't pull you in (tends to do that with the soft plastic). 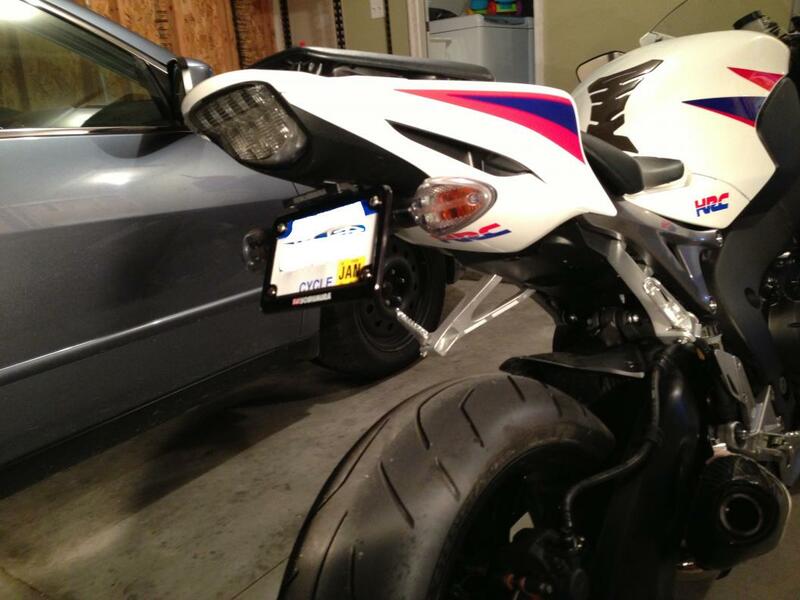 Oh and it helps to have a spare fairing to mess with (I used my crash fairing to prep me for the real deal). Well that's about it! 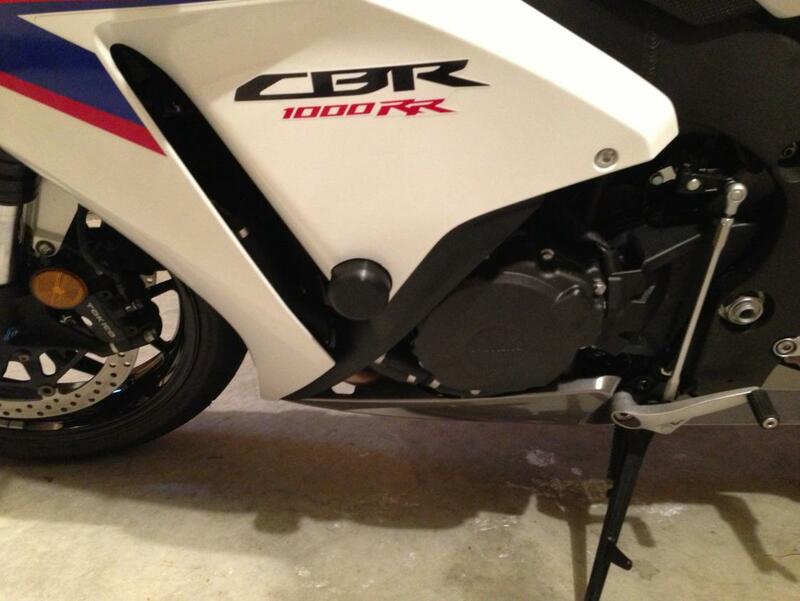 Here's to logging some more SAFE miles on my brand new 2012 CBR. Looks very good, sorry about the spill i've done it myself. Love the red/white/blue fairings on those bikes, look amazing. Yeah, about that red and white... Well she's all white now! 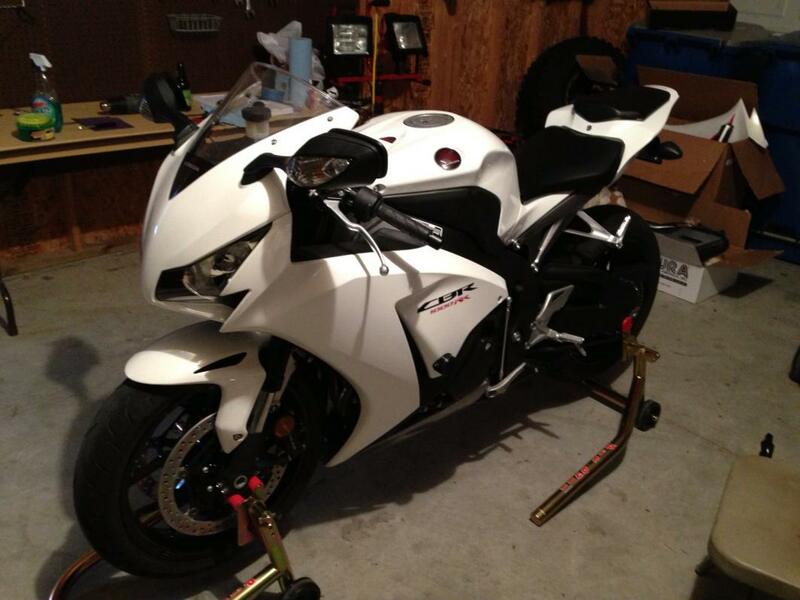 I always wanted an all white bike, and I think this looks hot.